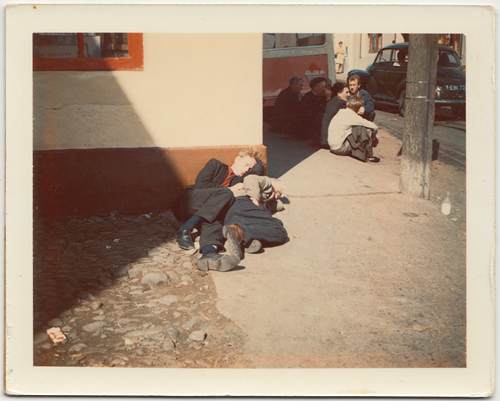 This colour photograph was taken on the 13th of August 1968 in the County Kerry town of Killorglin (Cill Orglan). This date coincides with the annual Puck Fair, one the oldest fairs in Ireland and the scene of much revelry with public houses remaining open until 3 am. Centred around a cattle fair, the festival also includes traditional music and the capture of a wild goat which is then displayed in the centre of the town! The two men, sleeping-off the effects of the night before, are oblivious to the rest of the town. 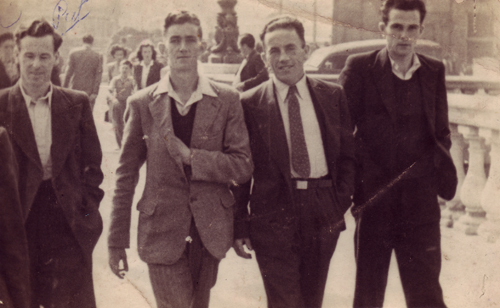 In the background, a group of men sit on the street as a Morris Minor car passes by. I love the small details such as the empty Carroll’s No.1 cigarette pack and the half-drunk bottle of milk. The colour process picks out the reddish brown of the window frame. Similar colours are replicated on the back of the ice-cream van. I don’t know who the photographer was and it is part of a series of images which I have featured in other posts. 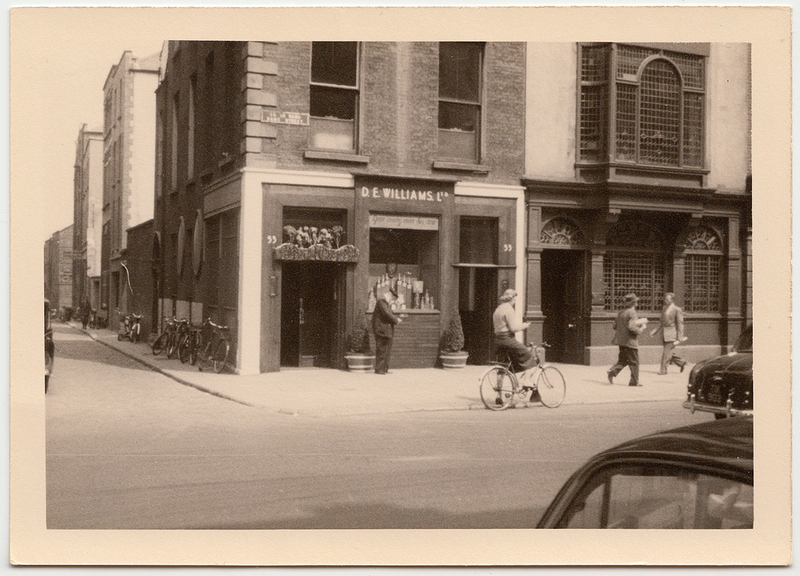 A quick look on the Killorgan Archive Society’s excellent website leads me to believe that the photograph was taken at the corner of Michael J. Culloty’s Bar, Main Street. Wine rooms identified as 32 Mary Street! I got a lot of feedback from an earlier post in which I attempted to identify the location for a snapshot of a Dublin pub and street-scape. Come here to me! 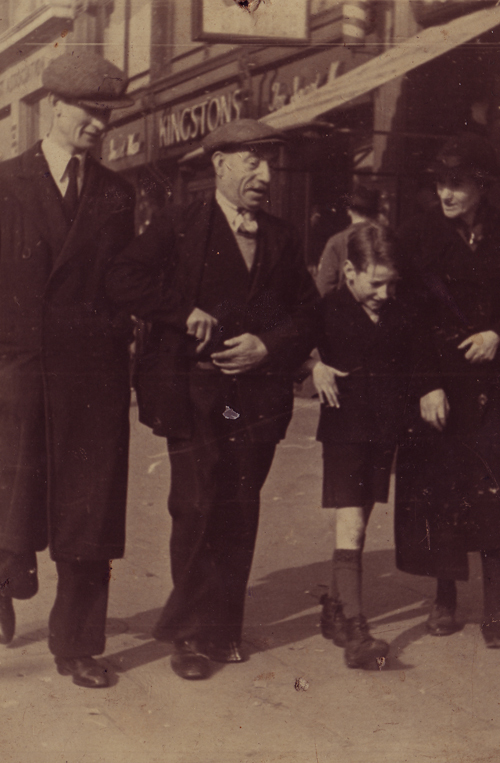 reposted the photograph and the responses were many and varied – some thought the image was taken in Parliament Street whilst others reckoned it was in Temple Bar. Upon closer inspection, the engraved window shows the surname Healy and after much thrawling through street directories the only public house I could locate that matched the numbers was J.J. Healy’s of 32 Mary Street. This was confirmed by Jennifer from Finglas who sent me the image below showing the pub in a later incarnation as The Elbow Inn along with the card for Healys. The building which was on the corner of Mary Street and Liffey Street, was given a mock Tudor makeover in the 60s! It was demolished to make way for the current Marks and Spencer shop ca. 1978. According to Jennifer’s mother, the Hegarty family lived next door so it looks like the mystery is solved! On another note, I am travelling to Cavan this week to give a talk about a group of photographers who were active in the area in the 1890s! This follows on from a article I wrote for the Breifne Historical Society. Going back to my roots! Street altars and May processions in honour of Mary were commonplace in Ireland until quite recently. The terraced houses in the background place the image firmly within an urban setting. This photograph is from a batch of Tipperary images I bought a few years back and others in the selection are identified as being from Clonmel so perhaps that is the location? I like the girls in white dresses who give the photo a summery feeling. This type of folk or vernacular practice interests me and I have re-read Kay Turner‘s book Beautiful Necessity on the subject of women’s altars and shrines several times. 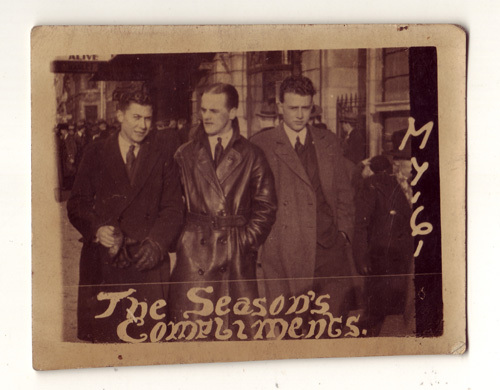 The National Library of Ireland’s photographic collection includes some images of street altars and decorations dating from the Catholic Emancipation Centenary in 1929. I also worked on a collection of photographs taken between the 1950s and the 1970s by Elinor Wiltshire which feature Corpus Christi altars from my own area – Dublin 7.